Cargolink Freight Services Ltd was established in 1988 with its main and prime objective to provide total transport solutions tailor made to individual specific customer needs. The company’s long standing position in freight forwarding has created for us a good name and image, which is synonymous with reliability and consistency in the Cypriot market. To this we are proud to declare that we have unfailingly kept our promises to our clientele and we will by no means stop our drive and efforts towards devising new methods to improve the whole range of services we provide. Our well trained staff share a genuine commitment to striving for excellence and combine a sound and solid background experience of moving freight and international business transactions. We work hard to satisfy clients' specific requirements and needs including both initial and ongoing assistance and advice. To ensure our clients can be provided with cost effective results, our job management systems are continually upgraded with the latest forwarding industry information technology and database software. This commitment to professional efficiency also includes the installation and connection to the Cyprus ports authority operations system agents’ module CYPOS enabling on line access to total port operations. 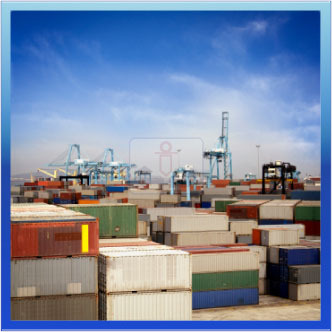 Cargolink Freight Services Ltd offers more than transport solutions from point A to point B. Our clients have personal, individual needs. Our people are dedicated in providing the most effective solutions to any matter - personally.